Is there a way to remove the @media styles that get added automatically to the CSS once leaving the designer, or not have it added at all?? That is the way i have been doing it. 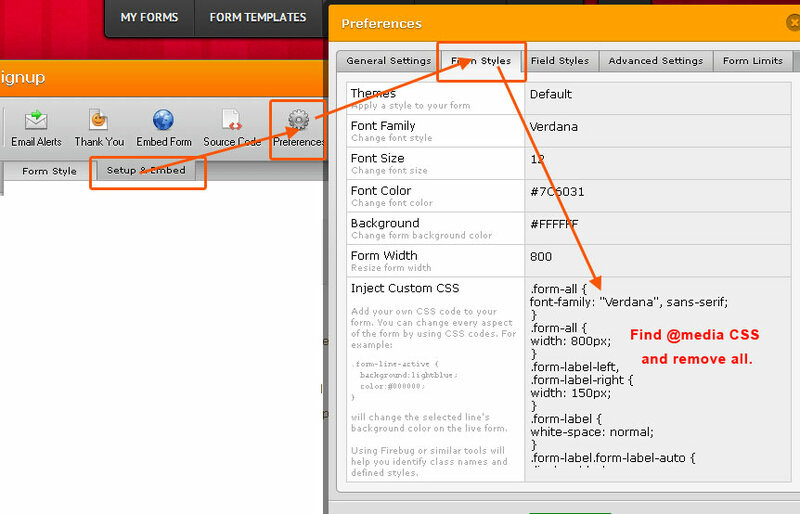 Its tedious and time consuming having to search through the CSS for all @media styles. Is there no automated options for this? We have escalated a ticket about this issue with the @media styles that are being added by the Form Designer to our Development Team. In the meantime, you can remove/override these styles manually. We will keep you updated via this thread. Thank you.